Get a Job in Amazon UK. Amazon is one of the world's best known online brands. Established in the earliest days of the internet back in 1994, Amazon began life as an internet based bookstore but over time branched out into selling a wealth of other products including CDs, video games, streaming services, audio books, electronics, furniture, toys, clothing, jewelry and even food. Today, Amazon has separate websites for countries all over the world and if you are interested in finding out how to get a job in Amazon UK, you will find that there are several teams that you can work for with this prestigious online company. Each of these teams have sub-teams which all have numerous openings, so you can see that there are jobs to suit all kinds of skills and abilities with this company. Amazon also offers virtual employment from remote locations, and these roles may also suit workers in the United Kingdom. 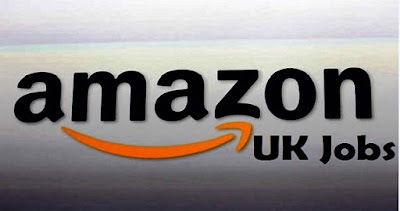 If you want to get a job in Amazon UK, you will need to know more about the application process. The first step is to carry out a job search on the Amazon website. It is possible to search on the site by either job title, team, job category or location, so you can search for available roles in the nearest UK city to your home. Once you have found a job that suits your skills and experience, you can simply click on the Apply Now button which will take you into the application process. You will usually be required to submit an up to date CV as part of your application, outlining details of your experience and background, dates of employment, educational qualifications and skills. If you are then chosen for interview on the basis of your CV, depending on the position that you have applied for, you may be required to send in some samples of your work via email to an address that will be supplied. However, if you have relevant work available to the public online, you could send links as part of your CV. There is no need to submit a covering letter as the assessment for your suitability for the post is based on your CV. The qualifications required to get a job in Amazon UK will, of course, differ greatly between roles, however each job advert will list the basic qualifications and skills necessary together with desirable qualifications. Basic qualifications will almost certainly include a good standard of high school education with GCSEs at a minimum of Grade C in Maths and English. Excellent customer service skills will also be very important. Some roles will require industry specific qualifications and more senior roles will also require several years of experience in a similar job.